Nick and I have known each other for nearly 20 years. And in that time, he spoke a lot about writing a book, but he was never sure if he could actually sit down and just do it. Well, today proves, that he obviously could! 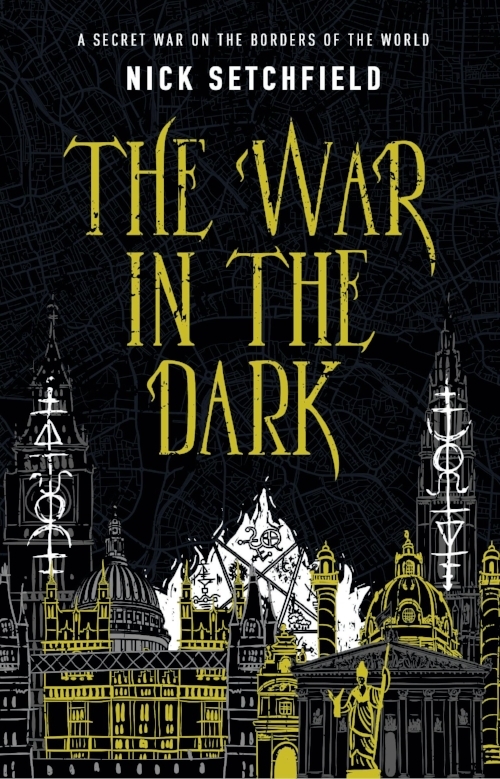 His debut novel THE WAR IN THE DARK is published today by Titan Books. 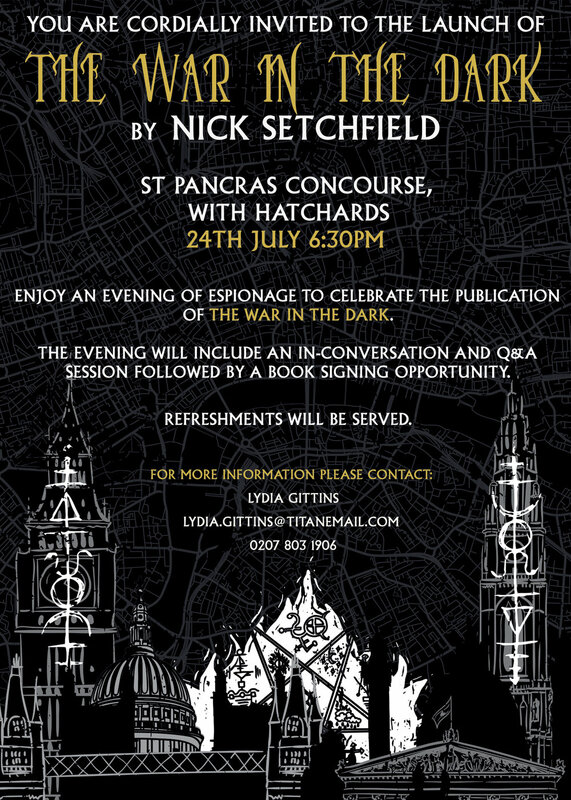 And if you wanted to come along and meet the man himself (and me) then do pop along to his launch party at Hatchards in Kings Cross next Tuesday. There may even be some spies and demons there . . .